The Competition and Markets Authority (CMA) has today (19TH October, 2015) announced the approval of Müller UK & Ireland’s acquisition of Dairy Crest’s processing, trading and distribution activities relating to liquid milk, packaged cream, flavoured milk and bulk commodity ingredients. The acquisition, which includes Dairy Crest’s dairy facilities at Severnside, Chadwell Heath, Foston and Hanworth together with around 70 depots, will complete no later than 27th December 2015. 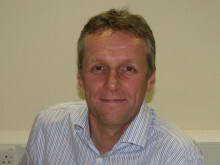 The decision follows agreement by the CMA that Müller will toll process a nominated volume of fresh liquid milk for fresh milk processor Medina Dairy at the Severnside facility to ensure competition for national multiple tenders in the South West, Wales, the South and the Midlands. “As a family owned company, we aim to invest in businesses where we can add value through our knowledge, scale and entrepreneurial way of operating. “This acquisition is very much in line with this mission and we are delighted that we can now press on, drive towards completion of this transaction and begin work with our new colleagues to bring these businesses together. Müller UK & Ireland is wholly owned by the Müller Group. It has 19 sites nationwide and employs almost 6,000 people across two business units: Müller Dairy and Müller Wiseman Dairies. 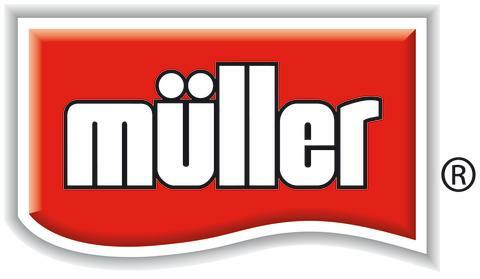 Müller Dairy is the UK’s leading branded yogurt manufacturer, with major brands such as Müller Corner, Müllerlight and Müller Rice. The business makes chilled desserts including Cadbury Bubbles of Joy, Pots of Joy, Layers of Joy and Twin-pot products, produced under license from Mondelez. Müller Dairy also supplies the UK private label yogurt market from a state of the art yogurt facility in Telford, Shropshire. Müller Wiseman Dairies is a leading fresh milk, cream and butter business with a network of dairies and depots servicing customers throughout the country. The business recently commenced butter-making, opening a major facility in Shropshire with the capacity to produce up to 45,000 tonnes of salted, unsalted and lactic butter each year for the manufacturing, food service and retail sectors. To make its range of dairy products, the Müller UK & Ireland buys milk from more than 1,200 British dairy farmers, all of whom are Red Tractor Farm Assured. Müller Wiseman Milk Group Dairy members elect a representative farmer board which works with the business to discuss milk supply issues, including the Group’s commitment to maintain a competitive milk price and contractual position.